If you thought the only electronic-based music coming out of Greece was from Yanni and Vangelis, then you haven’t been keeping up on a wave of electronic artists who are more plugged in to Boards of Canada’s textural melancholy than Yanni’s grandiose orchestrations. Melorman is one of those artists. That’s the parody-ready moniker of Antonis Haniotakis from Athens. He says the name refers to “melody” and “man.” He’s been at the electronic game for a few years now and his new CD, Waves, may be his signature work. Like so many electronic artists, he’s a laptop jockey, conjuring up panoramic spaces and interior architecture on his computer. Unlike a lot of these artists, Melorman is more concerned with melody and mood than ear-bending sound design, though there is some of that as well. Each song on Waves builds like a spinning model of a molecule: melodies wrap around rhythms, cycling in counterpoint to other melodies, all against a shimmering borealis of sound. The album has elements of those old avant-garde electronic recordings on CRI or Nonesuch, on tracks like “Heights” with a spare, dark, unmoored tone hanging in space, only here, it builds into a melodic and rhythmic soundscape. Then there’s the subtle, almost meditative opening of “The Sky Out of Your Windows, with a quiet pulsing tone that builds with Doppler search lights sweeping through the slowly emerging theme. That quickly shifts into “Glow” with a music-box minimalist sequence riveted to a glitch-tossed groove, all moving towards a slo-mo melodic crescendo. Melorman dials-in chilled electronica with a post-rock sound in his rhythms that aligns him with artists like The Album Leaf and Tycho. But there are no conventional guitars or strings with Melorman: he’s resolutely electronic. 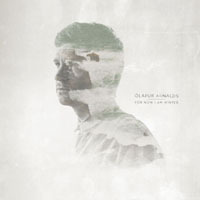 Sounds ricochet against his syncopated rhythms then drop out into free space on “From Now On.” Melodies trace each other like fireflies in synchronous trajectories on “Lights.” Some of his works approach minor opus status, such as “Walking on Water” which shifts between a slow loping groove and free floating classical legatos wafting up into cathedral rafters. 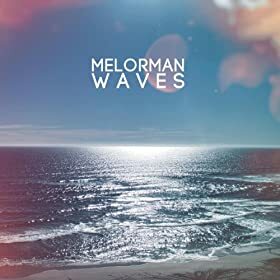 Melorman has been compared to Boards of Canada, and while this might be sacrilegious to their acolytes, I find Waves more satisfying than BoC’s self-consciously abstracted Tomorrow’s Harvest. 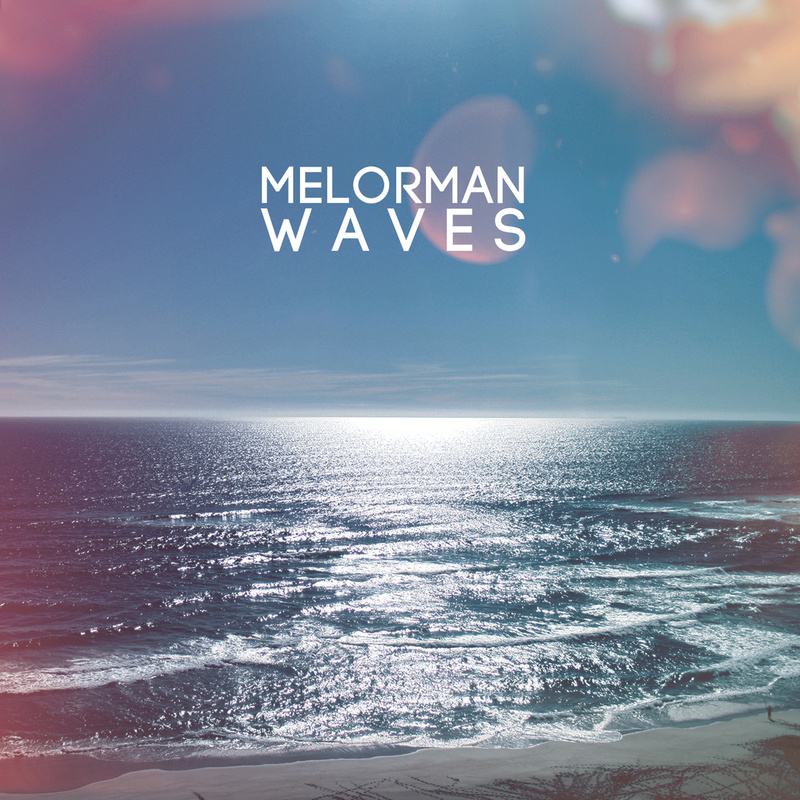 Melorman’s Waves flows as naturally as the surf and pulls you in with the most melancholy undertow. Hear an audio review of Melorman’s Waves in the Echoes Podcast. In 2009 I posted this list of 10 Essential Vangelis CDs when we ran our Vangelis: Then & Now segment. Tonight, Thursday, March 28, on the eve of his 70th birthday, you can hear a profile of Vangelis featuring interviews with this icon on Echoes. So I thought it would be good to revisit that list. In the 1970s and early 80s, Vangelis was synonymous with orchestral electronic music the way another Greek, Yanni, is synonymous with the New Age music. Whether it’s his film soundtracks for Chariots of Fire and Blade Runner, or his epic albums Albedo 0.39 and Voices, the sound of Vangelis has shaped much of Echoes‘ sound. Vangelis is the father of symphonic synthesis, that style that merges electronics with the expansive compositions and arrangements of a classical orchestra. But while most electronic musicians who employ symphonic textures wind up sounding pseudo-classical, when Vangelis does it, he just sounds like Vangelis. 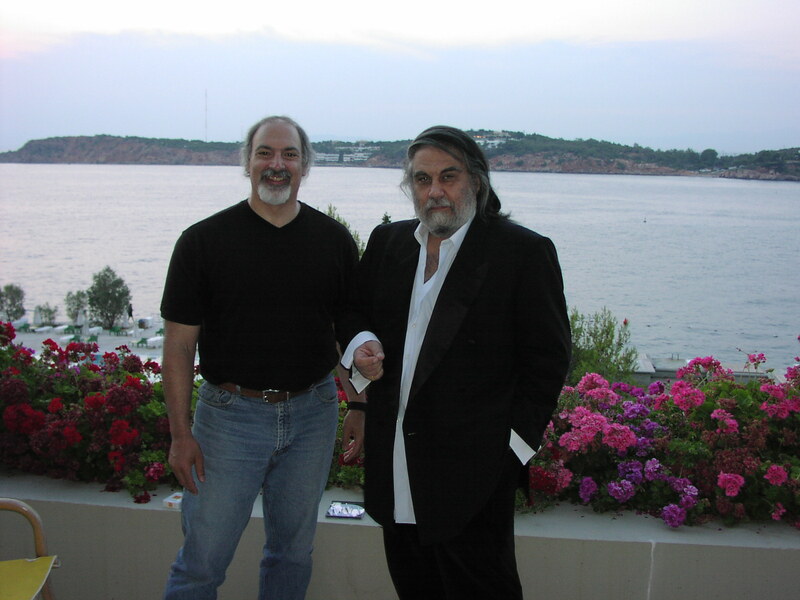 Vangelis Papathanassiou has released over forty albums and soundtracks since his official debut, Earth in 1973. His career spans psychedelic, progressive rock, electronic, new age and symphonic music. While there is a distinct Vangelis sound, marked by sweeping orchestral strings, often bombastic dynamic shifts, and ostinato sequences, he has stretched, bent and mutated those characteristics into widely divergent compositions over the years. Albums like Beaubourg and Invisible Connections are electronic freakouts that could’ve come from the Columbia-Princeton Studios or Radio Cologne. That sound is counterbalanced by his sweeter music like the score to Chariots of Fire or his pop work with Yes singer Jon Anderson. His star isn’t quite what it used to be. Last year a stage version of Chariots of Fire was produced in London and it still continues to be a successful show. Yet, his American label, Decca, released the play soundtrack, with the original music and several new Vangelis compositions, without any promotion at all. That’s simply wrong. Following on the heels of his lush, romantic score to Chariots of Fire, Vangelis composed this darker, edgier soundtrack in 1982 for Ridley Scott‘s archetypal science fiction thriller. Vangelis couched his electro-symphonic score in percussive rhythms and shadowed timbres. This is the album I hear cited most often as an influence by electronic musicians. There were several bogus cover versions of this album before the actual Vangelis soundtrack came out in 1994, twelve years after the films release. It was reissued last year as a 3 CD set with lots of new music. In early December, 2011 the United Nations Alliance of Civilizations Forum took place in Doha, Qatar and as part of the festivities, Vangelis was invited to perform. He gave a rare interview for Al-Jazerra English, although not as rare as the interviewer claims when he says it’s the composers first televsion interview in 20 years. He did many TV appearances in 2001 in support of his work, Mythodea. The interviewer for Al Jazerra English, former CNN anchor Tony Harris. He’s on the touchy-feelie deferential side of things which allows Vangelis, who is given to pontificating, run free. So you won’t find much anecdotal information about working on Blade Runner or Chariots of Fire, following the rise of synthesizers from the beginning or much of anything else you might want to know. But it is an interesting interview that reveals Vangelis’ concepts of art and culture in the modern world. “I don’t think music is beautiful today. It’s a way to advertise other things,” he claims in the interview. This was a massive event to inaugurate Doha’s cultural village, so I’m not sure if Vangelis was being ironic when he said , “You can see Blade Runner in Doha.” I suspect that’s not the image that Qatar authorities were looking for. You can hear a feature I did with Vangelis drawn from interviews I did in 1982 and 2001, including a segment of him performing live for me. On Wednesday, Jully 22, I’ll be airing a segment on Echoes called Vangelis Then & Now. Due to DMCA restrictions, we can’t do the full Vangelis thing, but here’s a list of the Ten Essential Vangelis CDs I would’ve included. Mask is a dramatic choral work from Vangelis. The choir is uncredited, but is likely the English Chamber Choir with lead tenor from Guy Protheroe. Referencing Carl Orff and perhaps Magma, Vangelis orchestrates dramatic choral refrains that can sound like storm troopers on the march in “Movement 1” or the imploring gothic voices from the heavens on “Movement 4” with its marimba cycle and string bass groove. I bought Mask on CD before I even had a CD player. Those are my picks. I’m sure you might have others. Tune in Weds., July 22 for a Vangelis suite, Then & Now on Echoes. News is afoot that a documentary on Greek synthesist, Vangelis, has been produced by British cultural documentarian Tony Palmer. Knowing a little about the culture surrounding the acclaimed, Academy Award-winning composer, I’m not sure if it will be more than a puff piece, but the list of commentators is pretty impressive, including all the film directors he’s worked with like Ridley Scott. There’s more detail on the Planet Origo site, which is a good source for all things spacey and electronic. From the Vangelis list, I came across an alternative history of the Greek composer who scored Chariots of Fire and Bladerunner. It’s in the Uncyclopedia. I’m probably the last person on the planet to discover this take-off site on Wikipedia. The Vangelis entry scores a direct hit on the enigmatic composer who is praised as a modern day Mozart by supporters and a modern day Mantovani by detractors. I think the critical concensus on Vangelis has shifted over the years. Parodies making him out to be practitioner of shlock and pomposity have been the norm, but I’m hearing more and more younger musicians name-checking Vangelis as an influence. He’s been cited in recent years by artists like BT and Digitonal, the latter who said that their song, “93 Years On” from Save Your Light For Darker Days, was directly inspired by Vangelis’ Bladerunner score. While Vangelis can lapse into sappy melodies and bombastic arrangements, he’s also made some of the most propulsive, driving electronic music of the modern age with Albedo 0.39 and Spiral as well as some music that seems to reach out and grab you by the heart on albums like Opera Sauvage and his score to 1492: Conquest of Paradise. The composer, who turned 65 last March, has slowed down in recent years, but his influence continues. But enough of praise, go have a laugh at Vangelis’s Uncyclopedia entry.